I am very excited today to introduce Guest Blogger Christina Knappik! 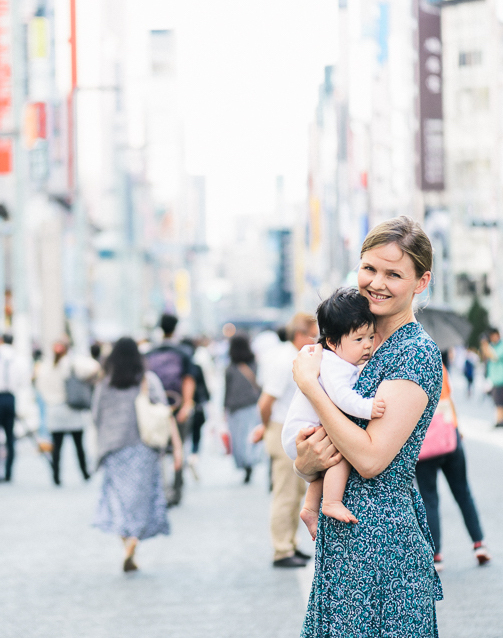 Christina is from Australia and recently traveled to Tokyo with her toddler and baby. Christina found Tokyo Urban Baby when she was planning her trip, and emailed me for advice about renting baby products while in Japan. After a few emails we realised we had a lot in common, in particularly our children’s ages and experiences! 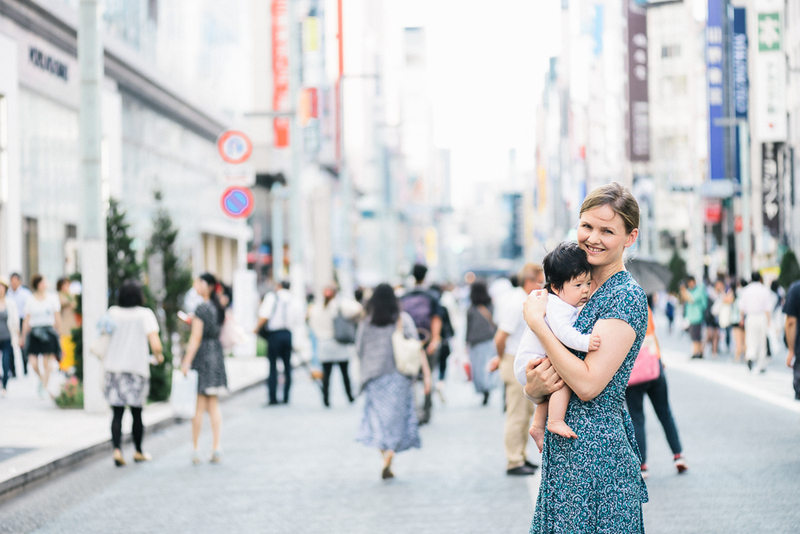 We unfortunately couldn’t catch up while she was in Tokyo, but I asked if she could write an article about her experience traveling with two children in Tokyo. Christina kindly agreed! Thank you Christina! 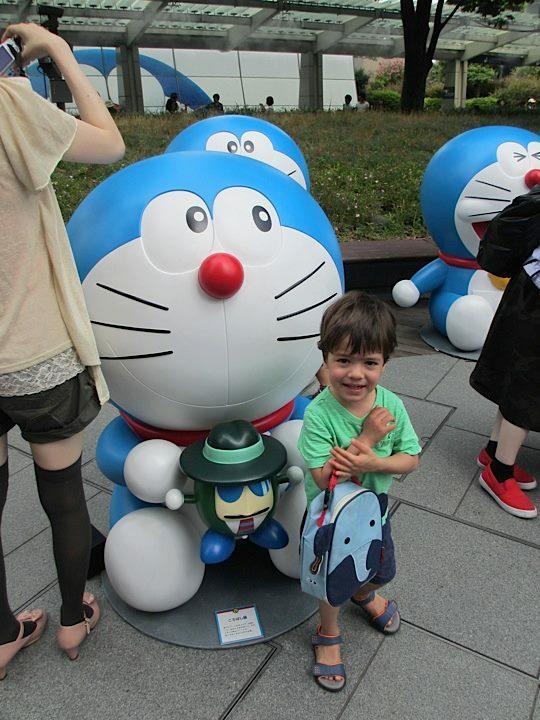 See below Christina’s Top 10 Tips for Traveling with two kids to Tokyo. Don’t miss the cute photos at the bottom of Christina and her beautiful children!! Some people (including me) think that I may have been crazy…travelling with my very active 2yr old & very little 5mth old baby, but…I am happy to report we survived. And, had an amazing time. 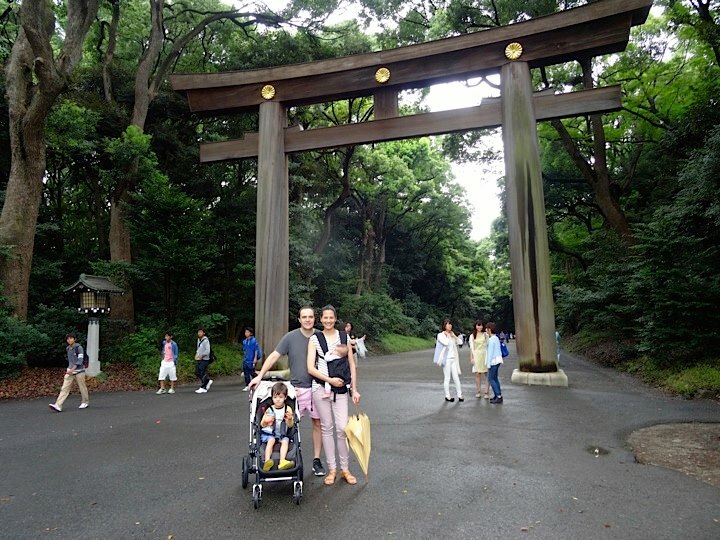 So here are my top 10 tips for travelling to Tokyo with 2 kids. Happy kids = a happy family! After a very public meltdown in the subway at peak hour – with both my kids screaming at the top of their lungs – we realized we needed to stick to a routine in order to avoid any more tears (ours too!). Travelling from Australia, we were lucky that the time difference is only 1 hour. But flying still takes its toll on both you & your children. We made sure our toddler kept to his normal naptime, in bed if possible. I wished we could stay out all day exploring Tokyo, but with two kids I found that we really needed to make sure they were happy, which meant that they needed sleep. If possible – stick to your normal routine and see if your other child can be more adaptable. I.e. Our baby would sleep happily in the pram or in the Ergo, but our toddler needed his daytime nap in bed in order to be happily functioning throughout the day. So, we would plan our days around his noon naptime. The best part about this was we could try & have a nap too! Also, we always made sure they were both in bed at their regular bedtimes at night, as a good nights sleep is vital for both the kids…and us! 2. Do your homework – prepare & plan! Travelling with kids is not easy!!! Say ‘sayonara’ to the days where you have a holiday and feel refreshed, rejuvenated & relaxed!!! We found to make it as stress-free as possible, researching where to go & what to do before our trip made it easier for us to see what we wanted to see while having the kids with us. 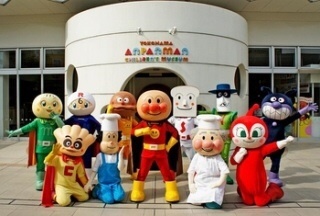 Researching on websites like Tokyo Urban Baby made us understand where we could go that was child friendly. 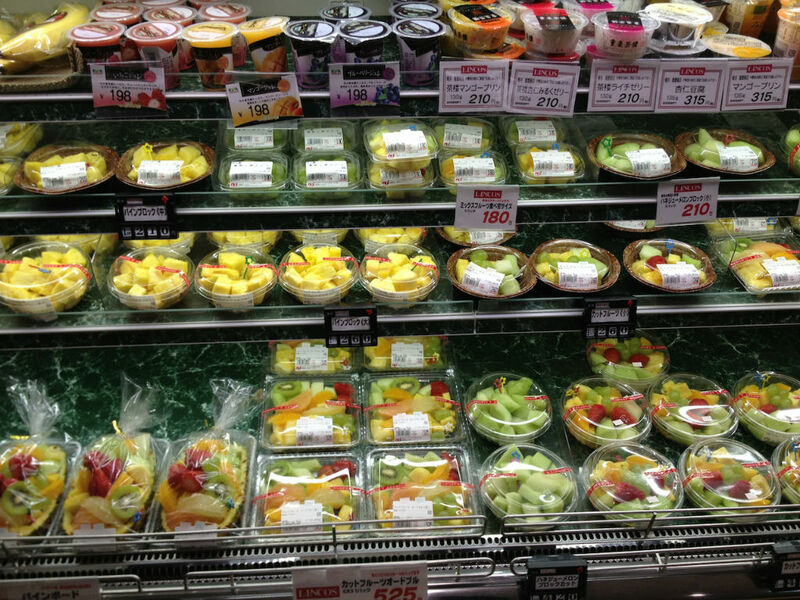 Tokyo is a very big city, and blog sites like Tokyo Urban Baby breaks everything down. For example, we were staying near Roppongi. 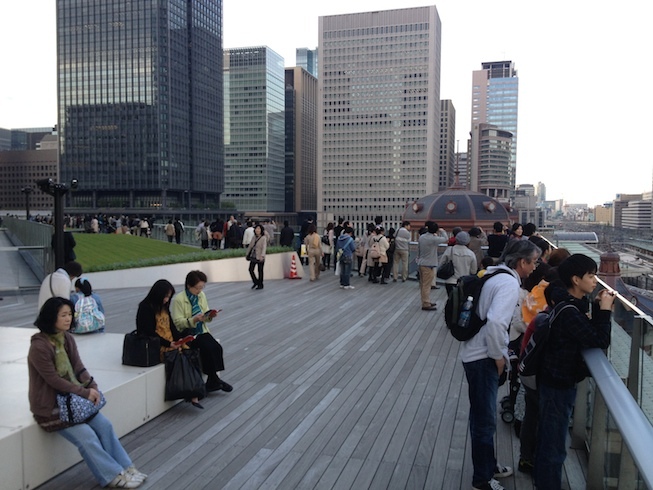 I wanted to shop at Roppongi Hills, so we researched that there is a good playground nearby (Robot Park). While I went shopping, my husband and 2yr old went to the park where he played & made friends with other Japanese kids his age. 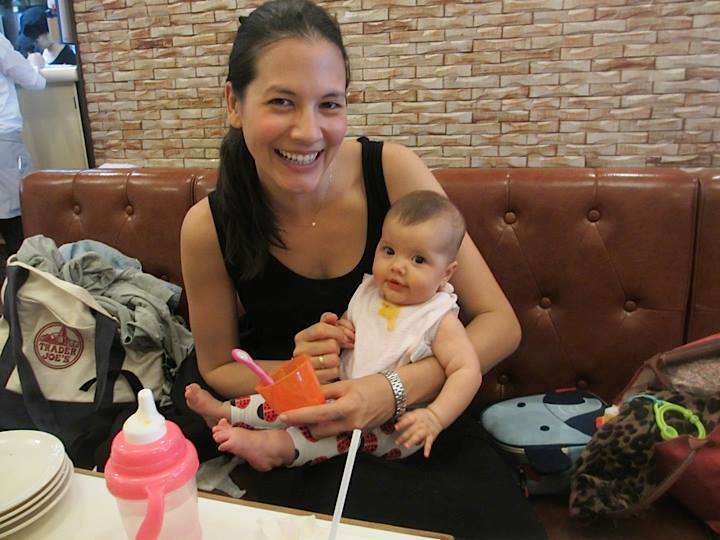 I shopped with the baby & was comfortable at Roppongi Hills as I knew there was a very lovely baby nursing room. We met up afterwards to have sushi lunch then went home for our toddler’s midday nap. A very successful outing for both parents & kids! The park, baby room information & sushi lunch recommendations were all found on this website. 3. To double or not – strollers! 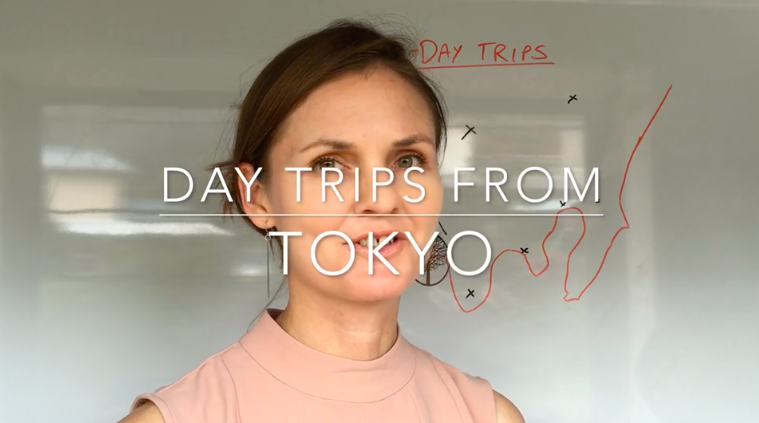 I thought about this for a very long time prior to our trip – how were we going to transport the kids on a daily basis through the busy and narrow streets of Tokyo? I literally stressed myself thinking about this! In the end, I took our Bugaboo Chameleon with us with our skateboard & also the Ergo. And it worked out perfectly for us. Our son napped in the stroller when we took day trips, while my baby napped in the Ergo. When my son wanted to walk, I put the baby in the stroller. When my son wanted to take a break, he would jump on the skateboard. The streets are narrow in Tokyo and you want something that has good maneuverability & is comfortable. Would it have been fine if we took our umbrella stroller – the Maclaren? I’m sure it would have been. But comfort for the kids was key for me – and travelling with our Bugaboo was great. But – if I had a double pram (not side-by-side, as the streets & subway would have made it impossible to navigate), I would have taken this with us. You can rent one (see my notes on renting items below). We had a few instances where we would take the subway to our destination for the day, but wanted to go home quickly, so we would find a taxi. For those who don’t speak Japanese, I would highly recommend to travel with your accommodation address written in Japanese so you can give it to your taxi driver. Many do not speak English & when you want to get home with an over tired toddler &/or baby, you want to get home quickly! Also, it’s helpful to know where the closest subway or train station is. If you get lost or a taxi driver doesn’t know where to go, they will know the subway or train stations. The taxi’s don’t have car seats. We never travelled far though & I felt safe. However if you do not feel safe about this option, your best bet is to stick with walking & the subways. The best way to get around Tokyo is to take the subway. Its fast, easy & my toddler just loved it! To this day he still talks about the trains! However, it can be tricky to travel with a stroller. Some subway stations don’t have elevators, so you have to navigate escalators or stairs. That’s why you see so many Japanese mothers lugging around their kids in the Ergo! 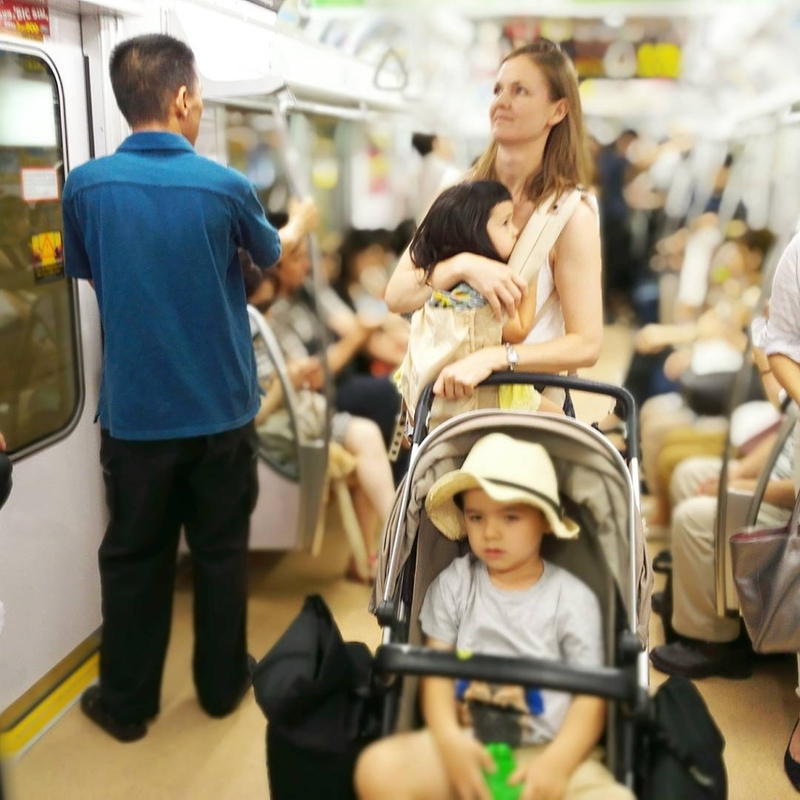 If you are travelling alone with your children & you don’t know if the station has an elevator or not, I would suggest travelling without the stroller if you can. It will be easier. But, if you are travelling with another adult (like your husband) then at least you both can carry the stroller up stairs if need-be. 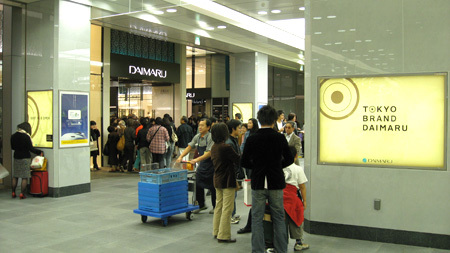 For example – the Ginza subway station has a few stairs & no elevator option. 6. The early bird doesn’t always get the worm! Both of our children wake up at the crack of dawn. Frankly it’s very annoying, especially on holiday. Its like they have an internal alarm that they’ve set. In Tokyo, we found out on the first early morning, there isn’t really much to do before 10am. Most stores open at 10 or 11am. This makes it tricky when you’ve already been up for 4hrs! We decided to look for things to do to occupy us in the morning that wouldn’t involve going to a shopping centre or store. 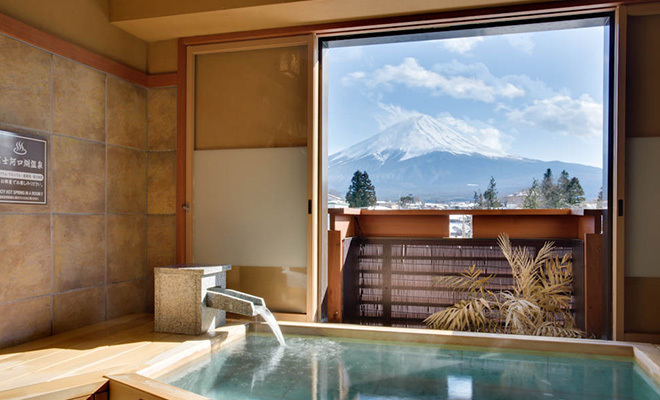 Mornings we would take our time to get ready & head out the door by 8am to a park or shrine or just walk the streets. By the time 11am rolled around, we would be ready to visit a store and then have lunch. A perfect morning example is: We took the subway to Meiji Shrine, then walked through Harajuku, ate lunch in Omatesando & walked through the little laneways around the area. By the time noon rolled around we were tired, ready for a nap, and felt like we had done & seen so much in the day. 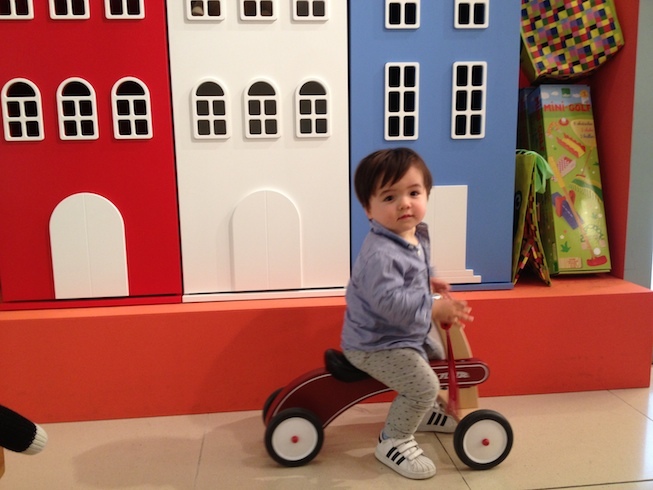 Tokyo Urban Baby recommends many restaurants & child friendly things to do in those areas. The biggest advantage of the stores opening late is that they stay open until late in the evening. If you can, see if you can get a babysitter so that you can enjoy late night shopping & eating out with your partner! We gave up on shopping for ourselves during the day with our children, but once they were in bed at 7pm, we headed out the door and had 1-2hrs where we could shop or eat without having 2 kids in tow. This was a big surprise for me. Diapers were not as easy to find as I thought. Maybe it was because we were located in a busy commercial business area. But bring a few spare diapers with you so that you don’t have to rush around to find them on your first day. Oh – and I personally think that Japanese diapers are amazing!!!! 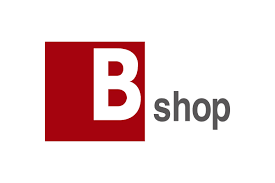 Definitely try out the Japanese brands. The toddler diapers especially were fantastic, so much so I brought some home with me!!! We stayed at a serviced apartment that provided a high chair and cots (& most hotels will do the same) but we still needed a baby bath, a play mat & bouncer for our baby as we were staying for almost 2 weeks. I found you could rent almost anything, so to avoid bringing any bulky items & to make your stay more comfortable, try renting. And this we found at Asobono, located centrally at Tokyo Dome. This is a great indoor play area catered to babies, toddles (& adults!) A great rainy day activity, Asobono has play areas that are created for specific age groups, interests, etc. We loved it. My son could play in a huge pit of soft balls & build his own train tracks with his very own toy shinkansen (bullet train), while I went to the baby area and played with my daughter. There is something for every child in this indoor playground. This was a highlight for us & I thought it was a great way to interact with other Japanese families and children. 10. Go with the flow! As I mentioned earlier, I will never forget when we were in a packed subway car & my son decided to throw a tantrum screaming at the top of his lungs “Get off the train get off the train NOOOW!! !” and my little baby decided to join in & wail on top of her lungs. No one bat an eyelid at us. And I learnt at that moment, to just go with the flow. There will be times that are hard travelling with children, but try & make the most of it. No – my husband & I never had that lovely sleep-in until 10am. No – we never could go just browse through stores. No – we never could just sip wine & eat a meal while having an adult conversation. 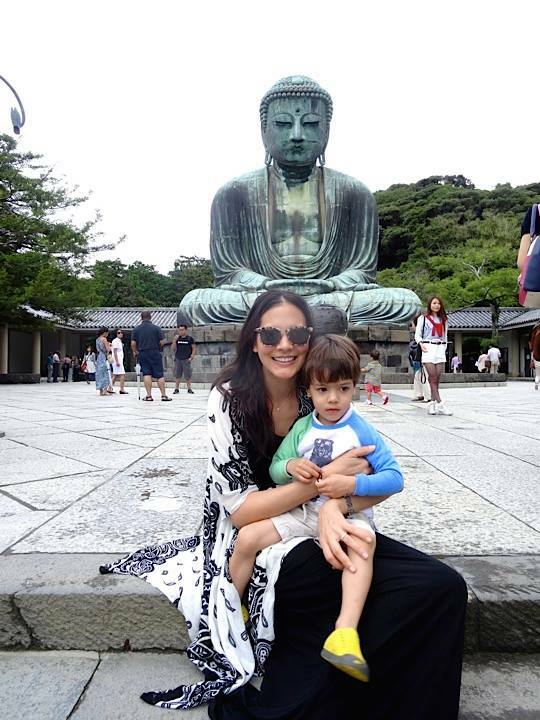 BUT – our son now has an infatuation with Buddha after seeing the Deibutsu in Kamakura. He still talks about all the train rides he went on & he loves eating kappa-maki and edamame (the only vegetable he will eat!). And our little baby had a blast, she loved being the centre of attention as many Japanese grandmothers would run over & coo at her. Enjoy your trip and making many memories with your little ones! Great piece! So glad you enjoyed Tokyo! Just wanted to share as an FYI that you’re really not supposed to put the seatbelt around you AND your child. If you get into an accident your weight will actually crush the child into the seatbelt. An airline steward shared this with me. So unfortunately you either have to figure out a way to strap your child in separately or hold them on your lap. Either way taking a cab is sometimes not optimal but necessary when traveling in a big city! Best! I did enjoy reading this article too! Her writing captured the same situation I had with my kids and made me laugh & cry! 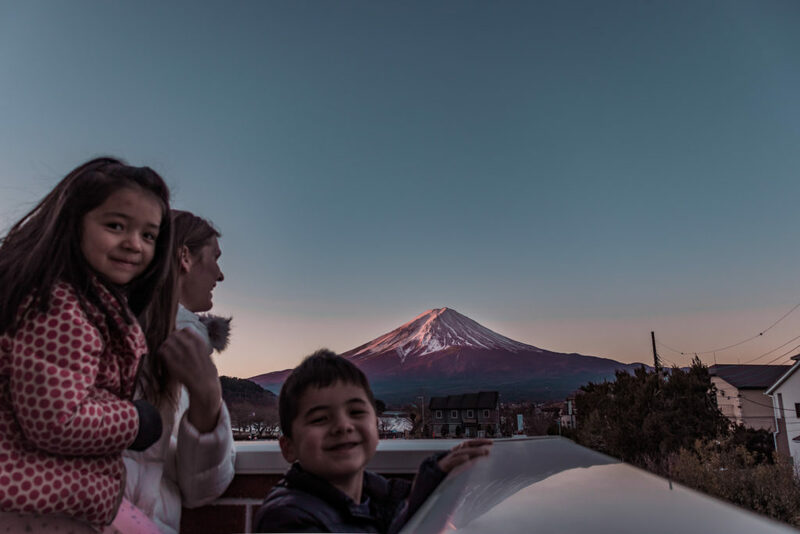 These tips is not only about traveling abroad with kids, but also work in domestic travel and furthermore it told me what attitude I must have to being happy family all the time! Thanks, Christina! I have found your post just in time, as I am travelling with my family to Tokyo next year. I have 5 years old daughter and 2 years old son, can you please advise what passes ( for subway, buses etc) have you purchased when you were in Tokyo? How much are Suica cards? Do you need ones for children? This is so amazing !! We are traveling to Japan in 2 months with 9 months old and this post is super helpful. Thanks so much!! !